If The Puppy You Purchase From Von Forell Kennels Develops Any Hereditary Problems We Will Replace It For FREE. Your puppy will be healthy. Your puppy has been vet checked before you take it home. Your puppy’s parents are free from hip and elbow dysplaysia. Your puppy has been vaccinated. Your puppy has been wormed four times. Your puppy has had the best of care emotionally and physically. Your puppy has had the most elaborate socialisation program ever developed. All your questions are answered before you leave our facility. All puppies are registered with the Australian Kennel Club Registration. All puppies come with a Lifetime Microchip. 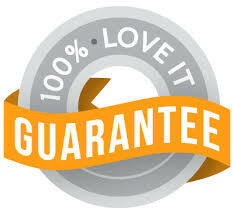 You can be assured of our experience. We have been working with dogs for a lifetime. Personal Advice: By telephone, e-mail or at our facilities, our specialists will answer any questions whatever they may be, and guide you in your choice of products and services.